This DVD is crammed full of more than 250 great quality floral A4 sheets which are just brilliant for cardmaking and scrapbooking projects. There are also example cards to provide inspiration. From Spring Flowers to vintage flowers and Flower Photos, there are all the components that you'll need to make some lovely projects this year. The A4 sheets are supplied in PDF format and are intended to be printed and cut up to make lovely cards. We've supplied Adobe Reader on the disc in case you need it to open the PDF files. So what's on the DVD? This Vintage Flowers set contains 40 great A4 size sheets containing pretty flower images, 20 great motif sheets and 20 pyramage images to print and cut out. Each pyramage sheet also includes some greetings to enable you to make a complete co-ordinating card, especially great for birthdays and Mother's Day. What a beautiful and useful set How Does Your Garden Grow is! 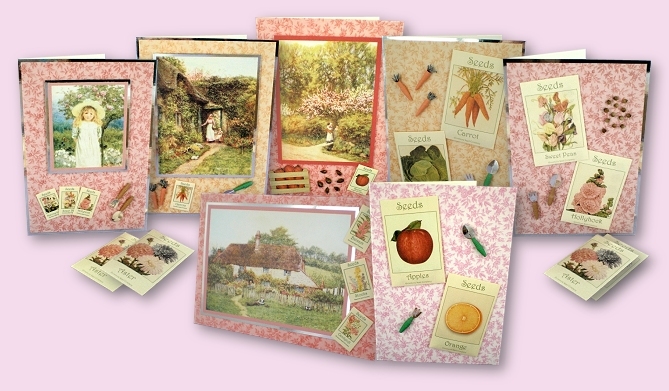 Miniature seed packets, great motifs and fantastic miniatures features in our gardening-oriented offering that are just perfect for making cards for women, men and children. 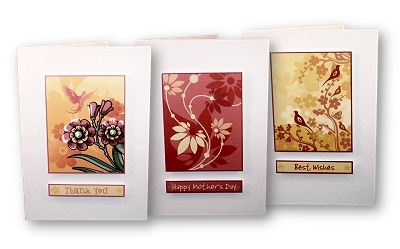 Choose lovely flower seed packs together with a pretty pink background to make cards for the ladies or go for the vegetable-based option together with a beige background to make cards for the men. Or pick the orange and apple seed packets to make cards for the kids - or these are just right for the kids to make for grandparents. We have a range of seed packets here that make up to measure 8 x 6cm - these are great as card embellishments or for tucking inside the card to make an extra little gift, complete with the relevant seeds of course! There are also three sheets of really weeny seed packets which are great for adding an extra little embellishment to a card - what a fantastic idea! The set also contains some lovely motifs featuring Victoria cottages and images of country life that go together with the seed packets beautifully. The projects for this set also make use of the included Vintage Floral Digital Paper Pad - a 10 sheet pad featuring some beautiful, genuine vintage papers in a range of gorgeous colours. 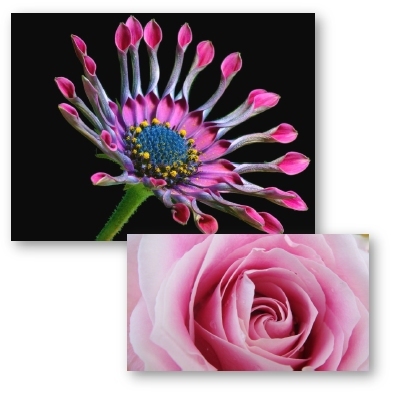 The Flower Photos set contains 40 great A4 size sheets containing lovely flower photo images including motif and pyramage sheets to print and cut out. 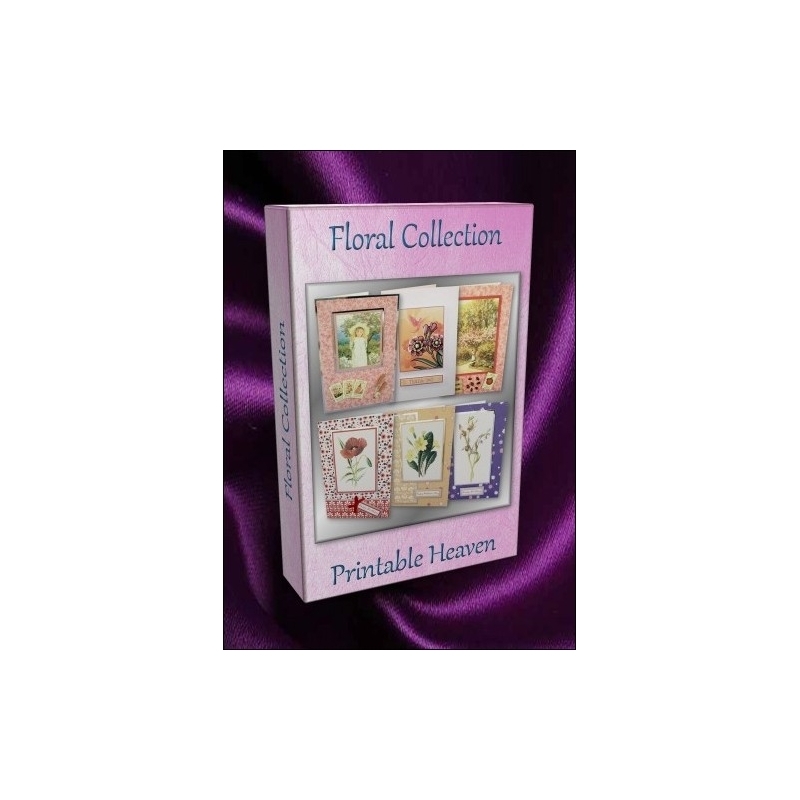 This pretty Spring Flowers set contains pyramage, motifs, large pyramage and backgrounds with lovely flower designs that are perfect for Mother's Day, birthday, Easter, Get Well, Best Wishes cards and loads more. Print the motifs and pyramage onto good quality white card for the best results. The backgrounds can be printed onto either paper or card, depending on your design and preference. This set has been designed to match the included Digital Paper Pads - Perfect Pinks, Luscious Lilacs, Poppy Red and Sunshine Yellows look lovely with the corresponding colours in this set. To complement the Spring Flowers and How Does Your Garden Grow sets we've included five Digital Paper Pads, each containing 10 A4 floral sheets to print over and over again. Our Groovy Flower Motifs set is a vibrant collection of 40 A4 sheets, each featuring a different motif inspired by flowers, trees, birds and butterflies. 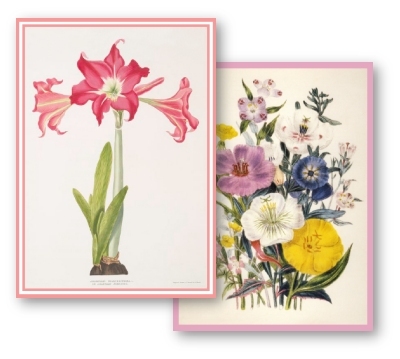 Each sheet includes 6 flower panels along with 24 co-ordinating wording motifs featuring the phrases 'Happy Birthday', 'Best Wishes', 'Thank You' and 'Happy Mother's Day'. Print onto good quality card for best results. Printer paper won't give good results! 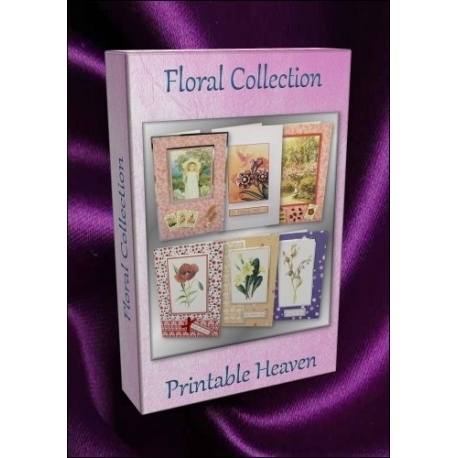 Just one print of this set provides enough flower panels and wording motifs to make 240 cards. Just cut out and mount a flower panel and your choice of wording motif on a card blank for a really simple finished card. You could use sticky pads to provide some extra depth or even mount the motifs on some mirror card for some extra dazzle. This Dream Roses Gift set has been developed to enable you to make complete complementing gifts for birthday, Mother's Day and more. 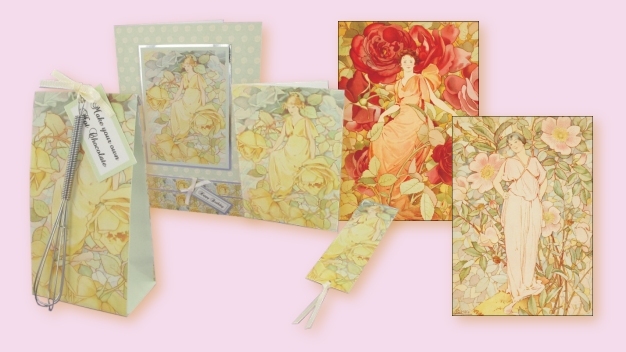 There are 5 co-ordinating ranges within this set that each contain beautiful pyramage, motifs, a background, a notecard, bookmark, gift bag, gift box, mini envelopes, tags, postcards and A4 prints. Looking for a Mother's Day or birthday gift that's a bit different this year? Why not make up all the items from one of the ranges to give as a beautiful and thoughtful matching present? 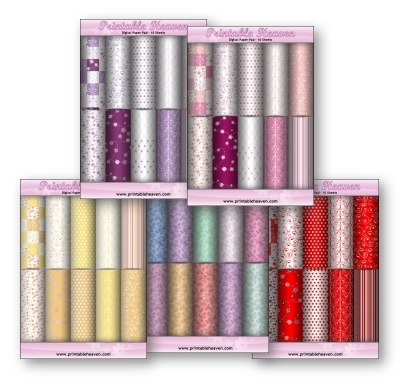 Choose from dramatic Red Rose, pretty Peach Rose, pale and dreamy Pastel Rose or calm Yellow Rose and Spring Rose. This disc contains everything you need to make beautiful floral cards and scrapbook projects. It's always difficult to make cards for men, so this disc should be an enormous help. The DVD is crammed full of more than 330 great quality A4 sheets and clip art embellishments for cardmaking and scrapbooking projects. There are also lots of example cards to provide inspiration. cardmaking and scrapbooking projects.